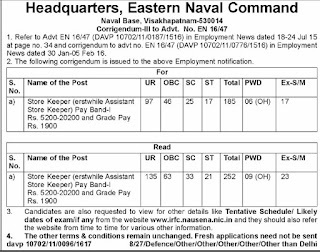 Home » Naval Dockyard » Store keeper vacancy in Eastern Naval Command Visakhapatnam 2016. 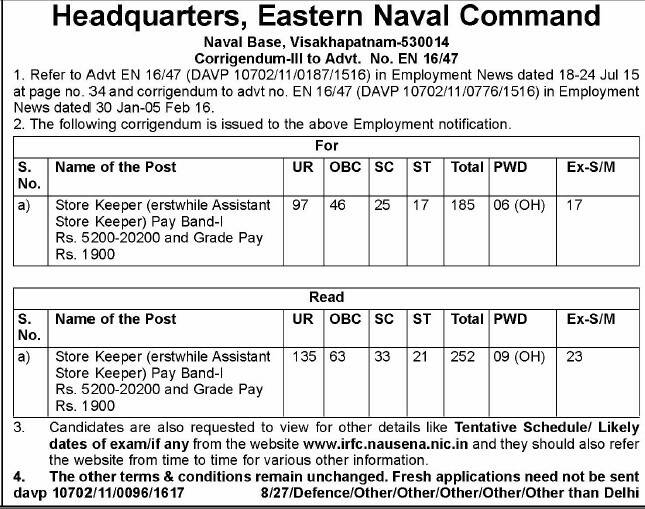 Store keeper vacancy in Eastern Naval Command Visakhapatnam 2016. News dated 30 Jan-05 Feb 16. 2. The following corrigendum is issued to the above Employment notification.